The date code of your product designates its date of manufacture, and it can be used to establish your warranty period. The date code is generally listed with your product’s model and part number, although this is not always the case. The date code of the DuoPro family of headsets will be located under the ear cushion. The first two numbers represent the month (01=January, 02=February…). The two numbers following the dash represent the year (04=2004). Next is the model of the headset. An “H7” represents the DuoPro. If an “N” is present, the headset is a noise-canceling model. 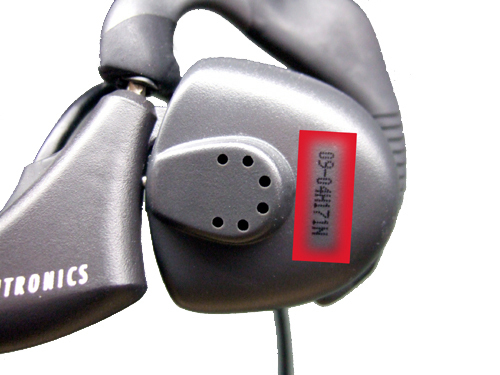 If an “R” is present, the headset has been re-manufactured or replaced by Plantronics. Any trailing characters are used by Plantronics for coding purposes.